In the bestselling tradition of Larry McMurtry, a sweeping novel that tells the tale of how mighty Texas was born–now available in paperback. 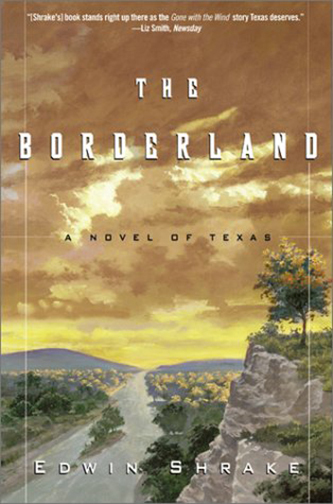 In this epic novel set in 1839, author Edwin Shrake, himself a Texan, presents a portrait of Texas as it was, a borderland between civilization and the unknown. There were fortunes to be made, vast areas of land to be gained, and battles to be fought and won. Skillfully woven into the action-filled narrative are true historical figures, wrenching love stories, and riveting battle scenes–all ingredients of superb historical fiction. Fans of Louis L’Amour and Patrick O’Brian will be enthralled by this Texas magnum opus.